April 13, 2008: Well, another quick weekend visit home to Kentucky ended and I headed back to my home away from in Paris, Ontario. To be honest, I am getting tired of the boring freeway trip back up I-75 through Cincinnati, Dayton, Detroit and Windsor, so today I decided to take the long way back via the Ohio River road in W. Virginia. I knew in advance it would take quite a bit longer, but I also knew there would be interesting things I would be able to see along the way. My first point of reference was to speak with my good friend Joseph Higginbotham, who is originally from W. Virginia. He gave me some good ideas and some background info. 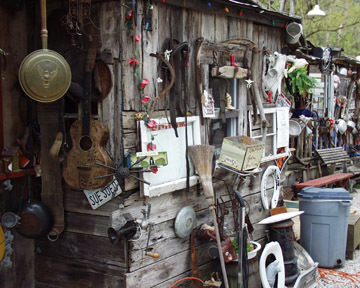 I then consulted my favorite online guide, roadsideamerica.com in hopes of finding some of the unusual sites along the way, which indeed I did. 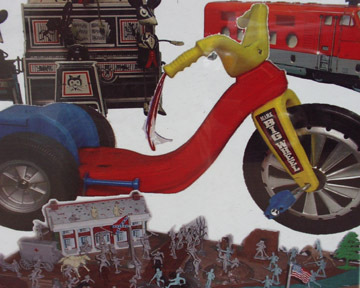 Finally, I had hoped to run into unexpected things along the way as one never knows what will be on the road. Following is the map of my one day trip from Lexington, via W. Virginia and Western Pennsylvania and then back to Paris. I left Lexington at about 8:30 AM and headed east on I-64 towards Huntington, W. Va. It was a beautiful day out and a nice day for a drive, though there was an occasional drizzle here and there. After a stop at the West Virginia visitor information center just inside of the state boundary, I headed on to exit 15 for my first sight. 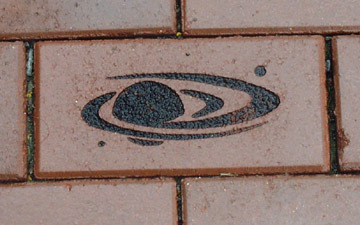 As is typical, I am always looking for the statues and strange icons that are out there. This one would be my strange one for the day...another Pink Elephant (you can see a different one on this page). 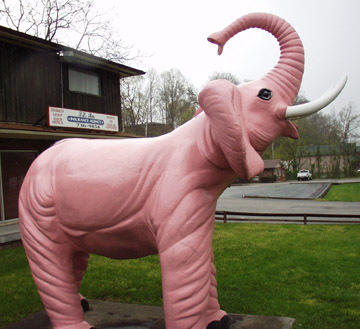 To get to this Pink Elephant, I took exit 15 and then went north to US 60 (also known as Midland Trail). I took a right turn and went down the road about a mile and a half and then saw my prize on the north side of the road in front of an insurance agency. I have no idea about the history of this one, but is different than the one in Wisconsin, which has twins in a number of other places. 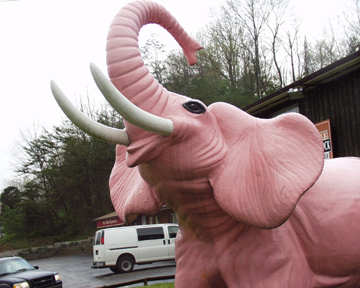 Pink Elephant in Huntington, WV (on Midland Trail Rd. 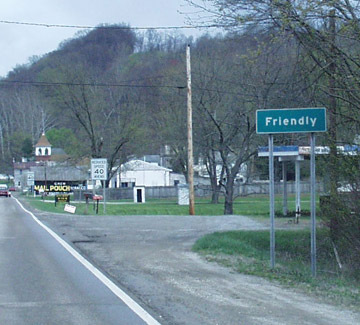 After seeing the elephant, I hopped back in and headed east on Midland Trail to state highway 19 (Merricks Rd.). 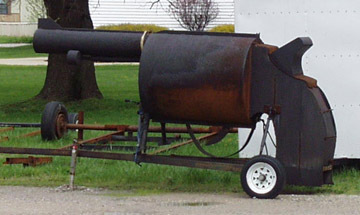 This would lead me up along the Ohio River and the western boundary of West Virginia. I followed 19 up Little Seven Mile Road until it met State Highway 2. From there I headed to my next planned destination. I discovered this one online in a couple of places and just had to get there. I arrived at about 11:15 in Lesage, W. Virginia. 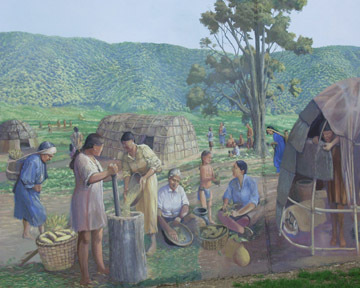 Before I explain the place, I want to point out that I do plan my trips meticulously and literally look up towns along the way via Google and Wikipedia. 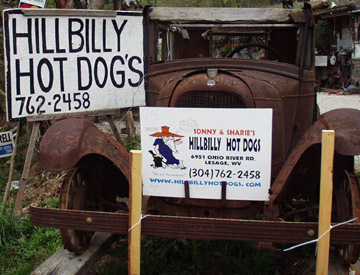 That is how I discovered Hillbilly Hot Dogs. 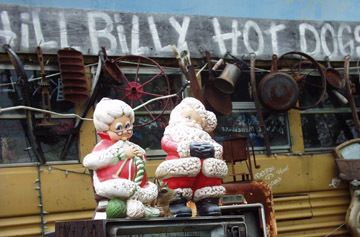 I visited their website (yes, even though it is a "Hillbilly" place, they have a website!) This is fulfilled both my yard art and strange places to eat categories -- if you have seen some of my other trip journals, you know what I mean. There was way too much to add to this page, so I have created a slide show as well. Click here to see the slide show. My greatest disappointment was that did not open until noon on a Sunday and by the time it was 11:45 and nobody was there yet, I just headed north as I still had a long way to go and a lot of places to see. 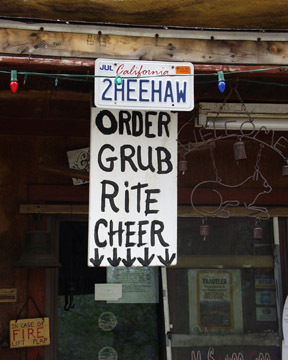 Their hot dogs are supposed to be good and apparently they also apparently sing a song if you order "We Got the Weenies", which can be heard at their website. I really wanted to meet Sonny and Sherry Knight, the founders, but that will have to wait until another trip (which will definitely happen!). 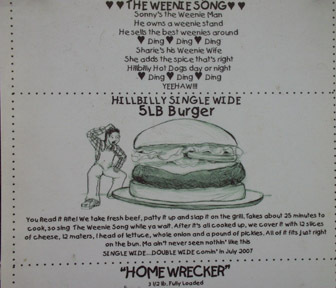 And of course, being the Trailer Park Troubadour fan, I would like to have seen their "Hillbilly Single Wide" 5 lb burger. 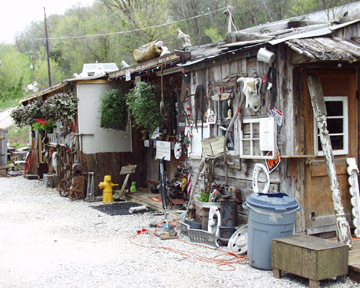 They apparently also entered a contest last summer in Akron, Ohio and created a Double Wide. Ah well, I had to trudge on forward up the river and towards Ontario, so off I went. 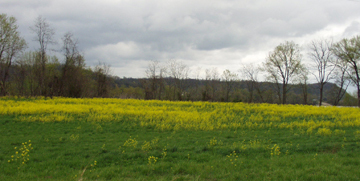 I was delighted to see beautiful wildflowers along the way. As well, there were many riverine scenes...I liked the tugboats hauling coal up the river because it such a significant industry in W. Virginia, eastern Kentucky and southeastern Ohio. My next scheduled stop along the way was Point Pleasant, a quaint little town with an unusual story or two. I spent a considerable amount of time in Point Pleasant so I could catch some of the sights. 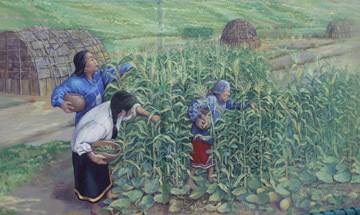 The town, small as it is, as a big and colorful history. 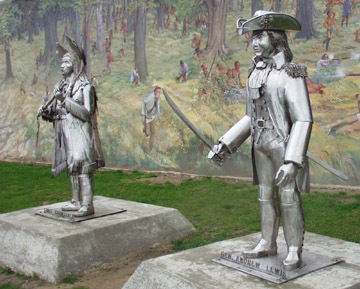 Back in October 1774 the Battle of Point Pleasant, which was led by Colonel Andrew Lewis defeated Shawnee Chief Cornstalk and his coalition of Shawnee and Mingo warriors. 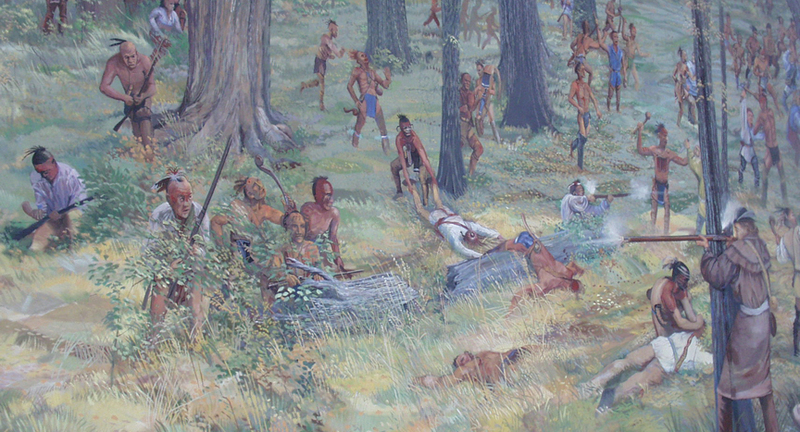 Many say that this was the first battle of the American Revolutionary War, which is a distinction that was apparently made official by an act of Congress in 1910. 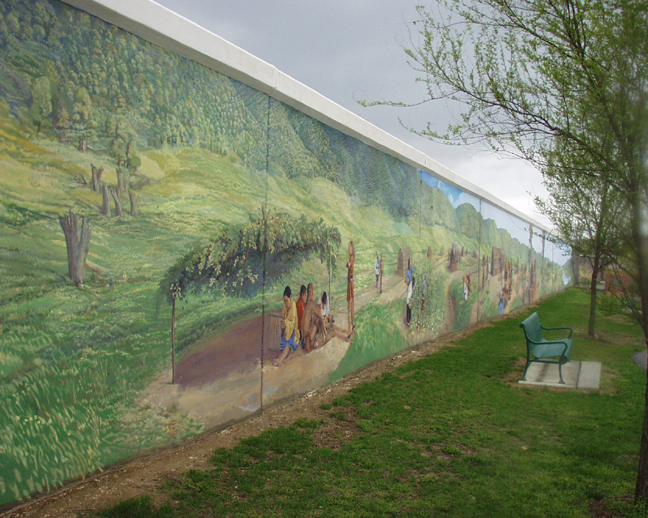 The park in town has some massive murals painted (by world renown muralist Robert Dafford) on the river retaining walls in the park and there are also metallic statues immortalizing both Colonel Lewis and Chief Cornstalk. Another point of fame (or infamy) for Point Pleasant was the Silver Bridge collapse. 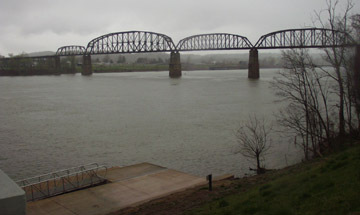 This was a suspension bridge built in 1928 and it collapsed under a heavy load on Dec. 15, 1967, killing 46 people. There is a plaque in town memorializing this tragedy. 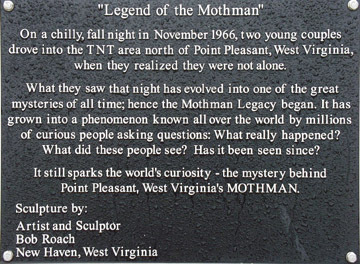 But perhaps the most famous item if note in this town is the "Mothman". 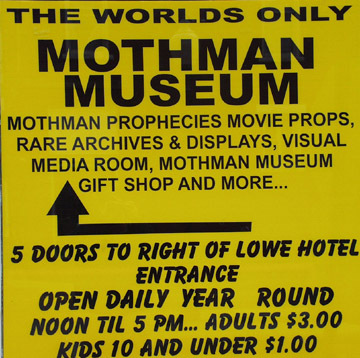 I recall seeing the movie "The Mothman Prophecies" back in early 2002. It starred Richard Gere. 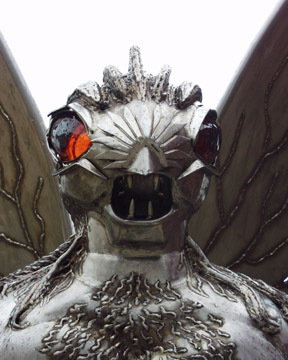 that was the first time I had heard of the Mothman. But I do recall a few uears ago looking up the legends, which are covered somewhat in the 1976 book by John Keel. 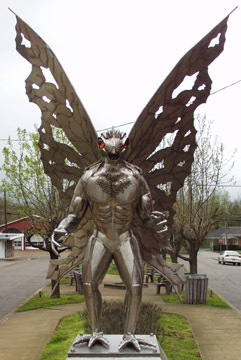 The town now has a Mothman statue, a Mothman museum with items from the film, trivia and even a short documentary. 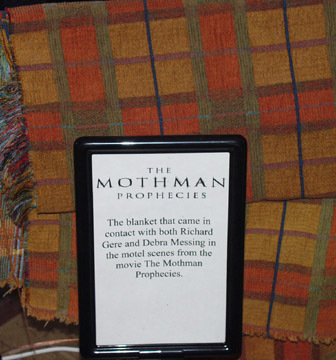 Sign to the museum; blanket "touched" by Richard Gere in the movie "The Mothman Prophecies"
Point Pleasant also has a couple of other museums and some very nice parks. For a small town, there is a lot to do. After my hour or so in Pt. Pleasant, I was back on the road north. All along the way there were some wonderful views of the towns in Ohio across the river. Unfortunately, the road was narrow and there weren't places to go to get photos of these picturesque scenes. 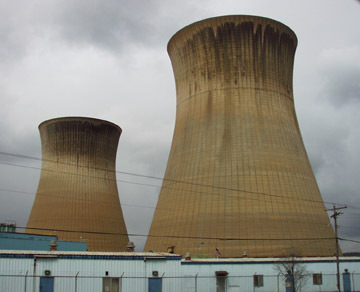 However, there were unexpected scenes along the way, including another novelty item and some huge power stations. 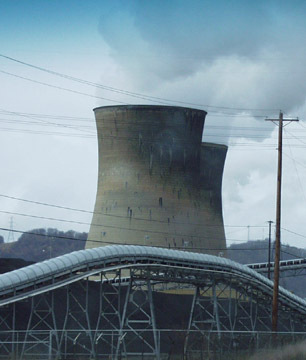 I passed by the Allegheny Energy power station, which was apparently the sight of the second worst construction accident in N. American history as 51 workers died instantly when their scaffold collapsed building the humongous cooling towers in 1978. Ironically, this was just down river from the Silver Bridge collapse, so this area has experienced some disastrous tragedies. The next town was highly recommended by my buddy Joseph. 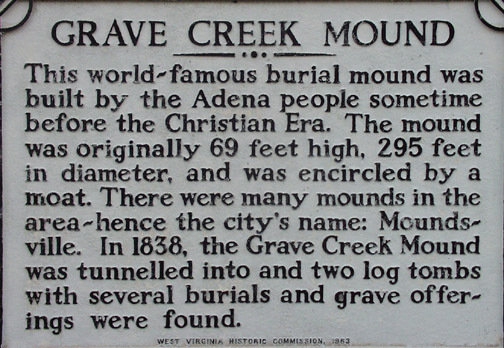 He told me of the huge Indian Burial Mounds in northern W. Virginia, more specifically, Moundsville. 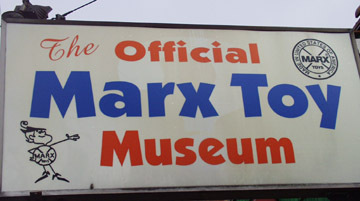 This was another town that I fully intended to visit...not just for the Indian Mounds, but also to visit the Marx Toy Museum and get a glimpse of the old W. Virginia Penitentiary. 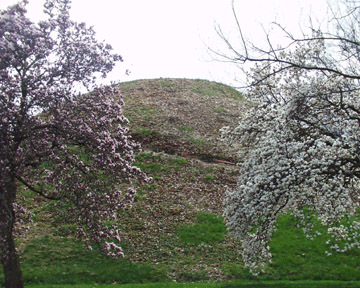 I initially made my ay to the Grave Creek Mound which is the largest conical type burial mound in the United States. It is 62 feet high and 240 feet in diameter. It was indeed and impressive sight. Supposedly built from 250-150 B.C. 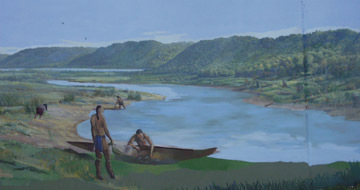 by the Adena Indians, it was apparently discovered by Constantine O'Neal in 1770 and was later visited by Lewis and Clark in 1803. I found this interesting as I have touched upon many of their footprints in the past few years in Montana, Nebraska, Wyoming and Washington, among other locations. 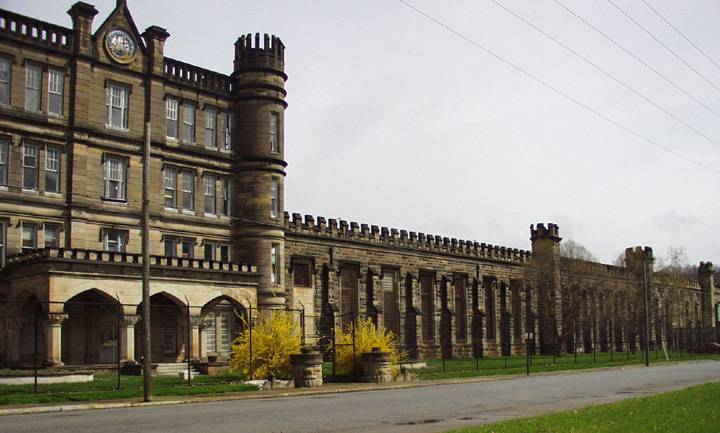 Literally across the street from the mounds is the huge castle-like West Virginia Penitentiary, which was used from about 1866 until 1986 after the West Virginia Supreme Court ruled that the Penitentiary's 5 x 7 cells were cruel and unusual punishment. This prison was most definitely an imposing site when I saw it. 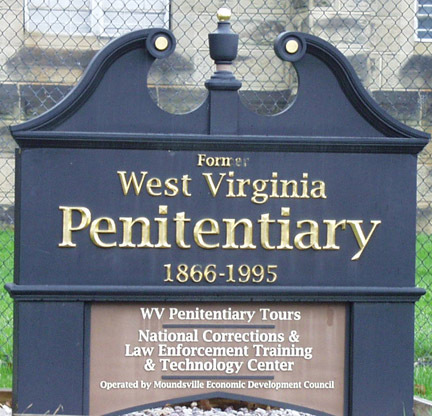 I can imagine what it was like for those who were institutionalized there. I did not have time to take a tour on the inside, but I hope to sometime. The day continued to wind down. 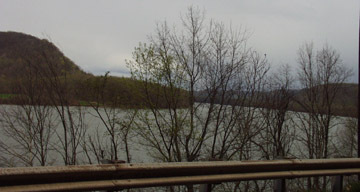 I had a couple of other spots in W. Virginia I had hoped to get to, but as time ran out, I scooted north to Wheeling, WV and hit I-70 east towards Pittsburgh, PA and then north on I-79. I had my focus on one more unusual spot along the way. 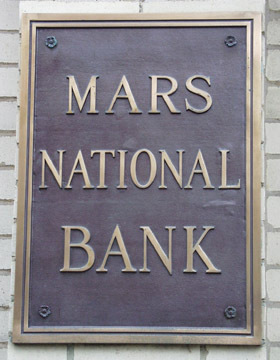 I figured I would take a trip to Mars. It was fun calling a couple of friends to tell them I was calling from Mars. 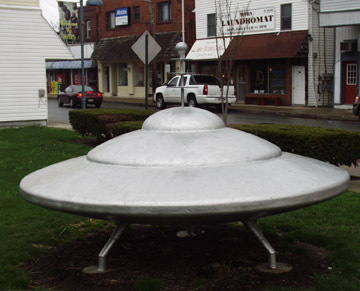 My key objective was to find the flying saucer in the park, which I did. 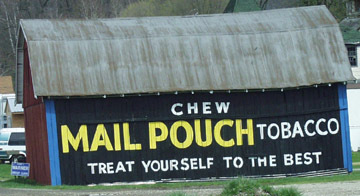 This is one of those roadsideamerica.com must see places, in my opinion. 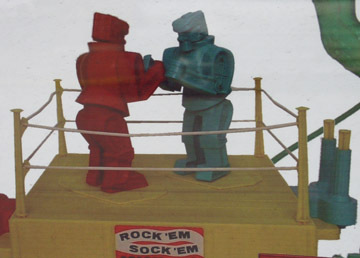 But the real prize is the spaceship!! It is right downtown. 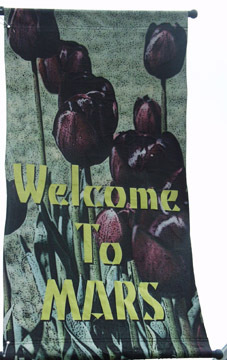 From Mars I zipped back up the interstates to Erie, then to Buffalo and then back to little ole' Paris. I got in about 10:30...dead tired, but full of great memories from a wonderful one day road trip that started and ended with novelties and included an entire variety of fun stuff!